SDSU Graduation is quickly approaching! Please check this map so you know where to go on May 4th! 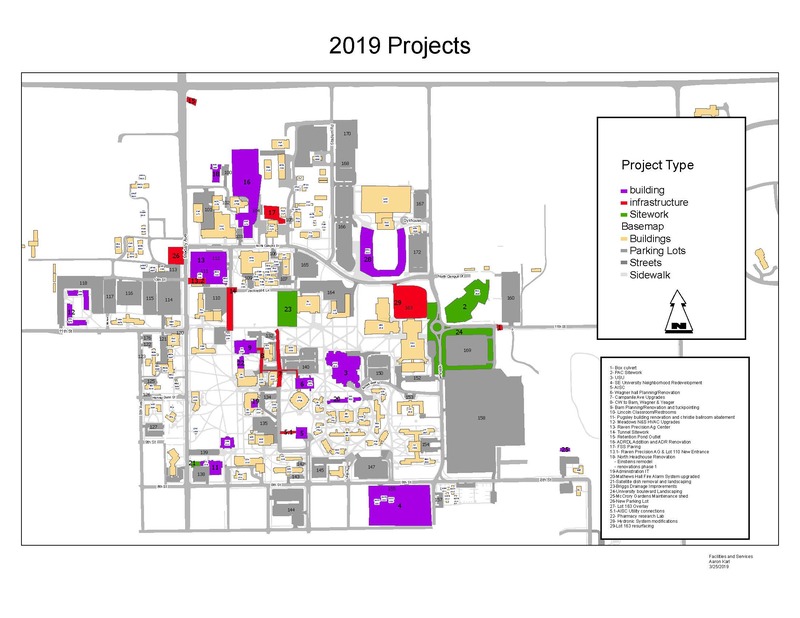 Summer construction projects will be starting up in a few weeks and will disrupt some parking lots and driving routes over the summer. Please reference this map for greater detail. Need Access to Campus Interior? No Problem! If you don't have a permit or don't have the right permit for parking in campus interior, we would like to remind you that Lot 150 is an excellent option for getting close. Rates are convenient at $1.50/hr up to $12/day and if you're light on your feet, the first 30 minutes are free! So avoid longer walks and citations by taking advantage of the Pay Lot, located on the east side of the Student Union! Moped/Scooter/Motorcycle parking* is now open now from March 1st - November 15th. Moped and scooters must park in signed stalls and need a permit to do so. Motorcycles also require a permit but are not limited to signed stalls. Please contact Transportation Services with any questions. During the winter months scooters/mopeds/motorcycles are not allowed on campus. Any of these vehicles found parked on campus will be given a citation and/or towed/impounded at the owner’s expense. *Signed motorcycle stalls are closed to all non-moped/scooter/motorcycle commuter vehicles. No parking any time. Employee and student online parking accounts allow registration of up to four vehicles, but ONLY ONE vehicle per permit is allowed on campus at a time. Multiple vehicles found parked on campus at one time utilizing one permit will result in fines. Until further notice all of the parking meters on campus are inoperable and their stalls will be enforced as 20 minute parking. Most have been bagged to this effect but any un-bagged meters are to be treated as 20 minute parking. Any questions about the meters, please contact Transportation Services at 605-688-7275. While it can be difficult to find the parking stall lines under snowpack, please remember to leave enough room between your vehicle and the curb/sidewalk etc. for emergency vehicles to pass through. It is imperative to maintain a driving lane through/around the parking lots. Citations will be issued to vehicles found blocking these established lanes. Please read the section below regarding Snow Removal Policy for more information about parking during winter. Transportation Services would like to remind campus parkers of the parking policy regarding snow removal. Failure to follow these regulations will result in a fine and/or your vehicle being towed. All lots except Student Resident SE and NW must be vacated from 2:00am- 5:00am for snow removal purposes. 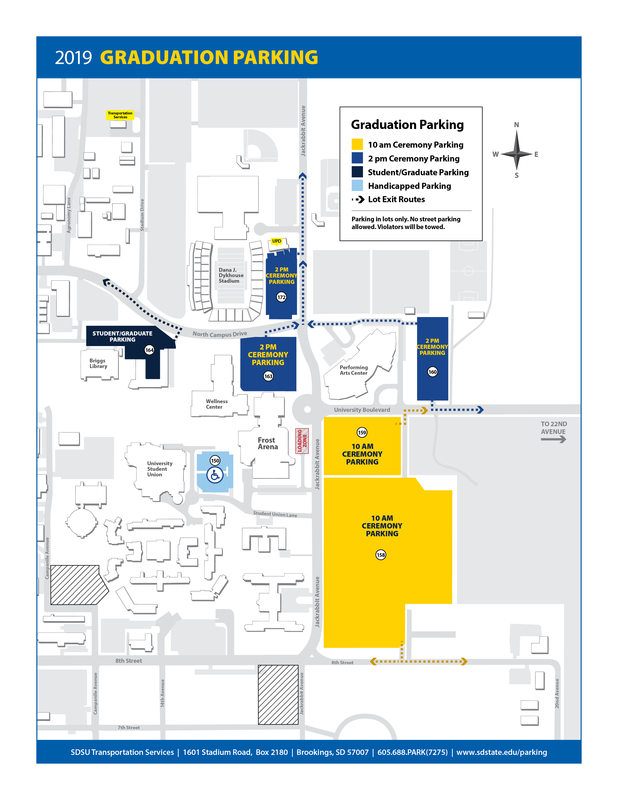 Staff and Commuting Students required to be on campus overnight, that have been issued an after-hours permit, must park in the Lot 166 (West Dykhouse Stadium). In the event that you arrive on campus and your normal parking lot has not been cleared, please proceed to Lot 166 (West Dykhouse Stadium) for parking. If you have mechanical problems with your vehicle and it requires to be parked overnight, please notify the University Police Department at 688-5117. Your compliance with this policy will greatly aid in the efforts to clear snow and return our campus to normal operations. Permits are only available for purchase online. Please purchase a permit prior to parking on campus. Parking permit enforcement is year-round, including ALL academic breaks. All mopeds/scooters must park in designated motorcycle parking areas. Parking on sidewalks or near bicycle racks is prohibited. Citations can be paid here. Rebecca Bott-Knutson, dean of South Dakota State University’s Van D. and Barbara B. Fishback Honors College, announced Tuesday that “Irresistible” is the selection for the 2019 Common Read.